Wheezing is a high-pitched whistling sound the lungs make when breathing in and out. It develops when airflow is constricted, causing the air to whistle through narrowed breathing tubes. When wheezing accompanies a cough and phlegm, it is almost always an indication of a respiratory disease or viral illness. It is prudent to contact a physician immediately if breathing problems persist. Respiratory conditions often require diagnosis by a medical professional, according to MedlinePlus. Asthma is a chronic respiratory disease that causes the bronchial airways to constrict during an attack. Asthma attacks are usually brought on by exercise or exposure to allergens or chemicals, according to MedlinePlus. When the bronchial tubes react to a trigger, the pathways quickly constrict, causing wheezing, coughing and labored breathing. The tubes secrete mucus, or phlegm, in an attempt to eliminate the irritants and as a secondary response to inflammation. Fast-acting bronchodilators and long-term preventative inhalation steroids are common treatment methods. Emphysema and chronic bronchitis are the two main conditions that comprise chronic obstructive pulmonary disease, or COPD. 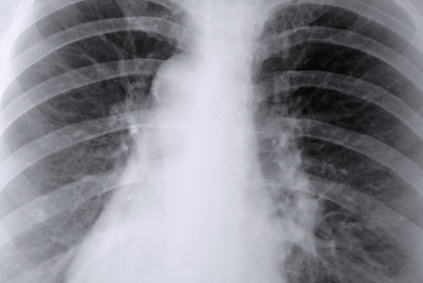 This disease develops from damage to the airways, which eventually interferes with the exchange of oxygen and carbon dioxide within the lungs, according to MayoClinic.com. Wheezing, chest tightness and a chronic cough that produces a yellow sputum, or phlegm, are indicative of chronic bronchitis. Chronic asthmatic bronchitis also displays symptoms of a wheezing cough with phlegm, although the sputum may vary in color. Unlike chronic bronchitis, which is long-lasting or recurring, acute bronchitis lasts a short time, usually taking several weeks or less for a full recovery. A wheezing cough with clear, yellow or green phlegm is present along with a sore throat, fever, body aches and chills, according to FamilyDoctor.org, a website of the American Academy of Family Physicians. Influenza, especially when it develops into pneumonia, also causes a wheezing cough with phlegm, as does the disease of tuberculosis. Speaking to a physician is important, as these symptoms are not confined to these conditions alone.